I first read about OIOPublisher sometime ago on JohnChow.com website. As a thank you for that information, later on I bought the plugin using John’s affiliate link on that page. I was looking for a WordPress ad manager system that allows you to manage all your ads in one place and be able to place them on multiple websites simultaneously. Also, translating the plugin into other languages was something important for me and OIO Publisher has this feature included. OIO offers a demo website where you can check all the features. You can submit your websites that use OIO to be listed in the OIO web marketplace, so other people can find your websites and buy ads directly from there. 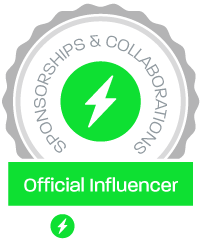 OIO has also an affiliate program and you can give discounts to your potential buyers. See below for our current promo code. 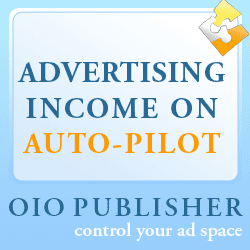 With OIO Publisher you can sell ads or manage your own ads. You can setup: text ads, banner ads, inline ads, posts ads, review ads and custom ads. You have the ability to add coupons to the ads offered on your website. You can place ads on your WordPress websites using a widget or a PHP code. Advertisers can view their ad stats. Advertisers can manage their own ads, or you can manage all the ads, with a setting in the OIO Publisher main setup area. OIO Publisher is integrated with different payment gateways including PayPal, 2Checkout, Authorize.net, Google Checkout, Alert Pay, Entre Card and Offline Payment (that is where you can set your own payment terms, like payment by check, bank transfer, cash on delivery). How do I use OIO Publisher? Lucian Web Service Ad Order Page – I use OIO Publisher here in English language and I’ll add more ad places soon. OIO Publisher sells for $47. Get a $10 discount when you use the current coupon code. Find OIOPublisher current coupon code here! Then click the banner below now to order your copy of OIO Publisher!